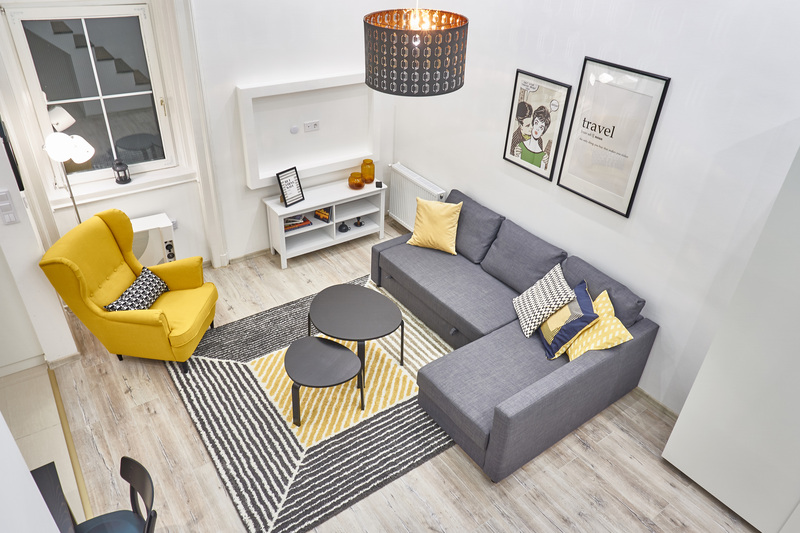 Here you will find a very friendly, cosy in a traditional, authentic building block centraly located in Budapest 6th district. The flat is situated on the 2nd floor accessible by lift or foot via stairs at the opposite of the main entrance accross the internal balcony yard. Steppin out to the street you will be at the heart of a very vibrant day and night life 4 minutes away from the underground.